The work at the Internet Archive is never-ending. After adding nearly 2,400 classic MS-DOS games and a collection of nostalgia-inducing interactive viruses to its collection, the tireless team has turned its attention to Windows 3.x games. As Jason Scott from the Internet Archive recounts in a blog post Thursday, Windows 3.x was a pivotal product for Microsoft in the early '90s as it helped cement the dominant desktop paradigms that are still in use today. The era churned out some incredible and memorable software, many of which were games. Now, more than a thousand classic Windows 3.x games (1,067, to be exact as of writing) can be relived right in your web browser. Many of the classics you know and love are there including Wheel of Fortune, Monopoly Deluxe, Hearts for Windows and two of my personal favorites, JezzBall and The Even More! 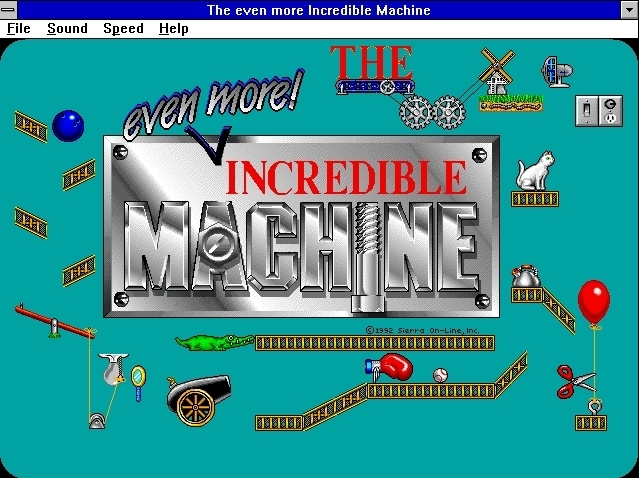 Incredible Machine. If you're "new" to Windows 3.x, the archive's Showcase category is a good place to get started. It features 49 pieces of popular Windows 3.x software such as MIDI Made Music for Windows Shareware version 2.11, Roulette, Windows Speed v1.0 and Election '92, an arcade-style game that lets players influence the outcome of the year's presidential election. There's even a stock installation of Windows 3.11 and a demo of Windows 95 if you want to relive what the early days of Windows looked like.